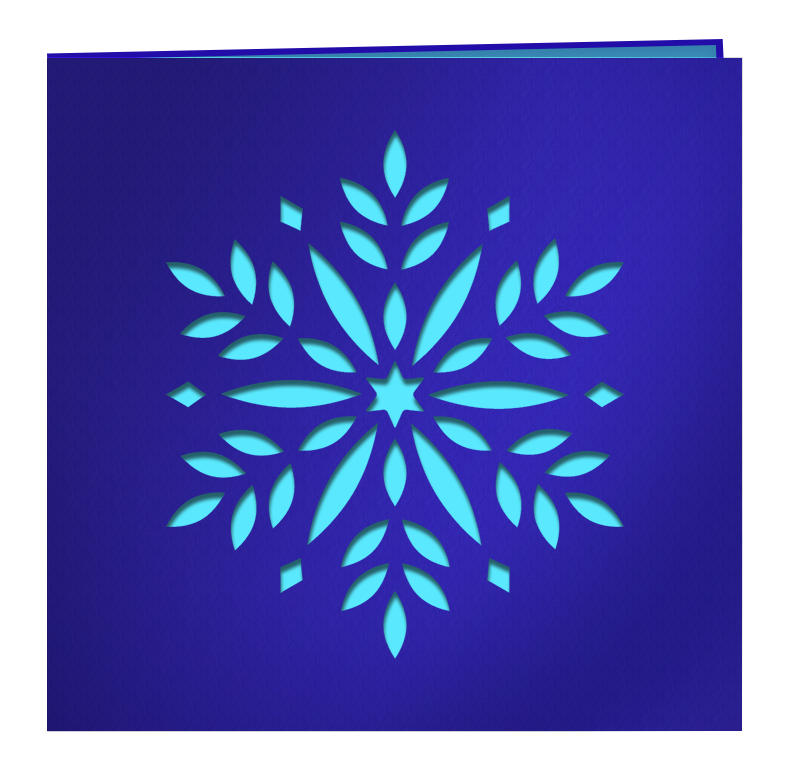 Home > Blog > Our top tips to make your Christmas Cards stand out! 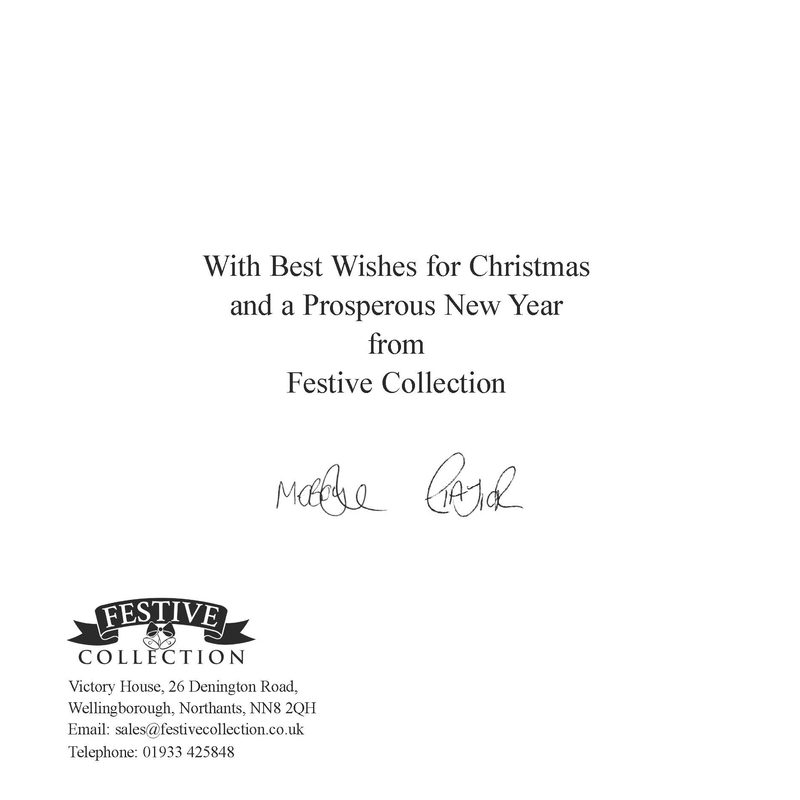 A personalised card is the best way to send season’s greetings this Christmas. We’ve got 237 card designs that feature stunning photography and whimsical illustrations, some of which can be personalised to your preference. 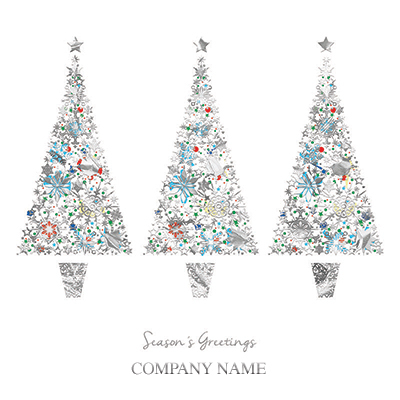 With Festive Collection you can customise your own Christmas cards so that they are reflective of your company and its values. Follow the tips below to create the perfect design to send to your clients, friends and family. 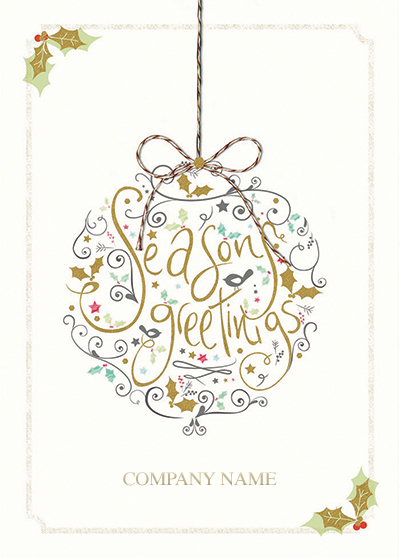 To make your Christmas cards even more personal you can add your company name to the front of the card. For an extra special touch this information can be added in foil on the cards Jewel Bauble and Sparkle Trees which comes in silver or gold. 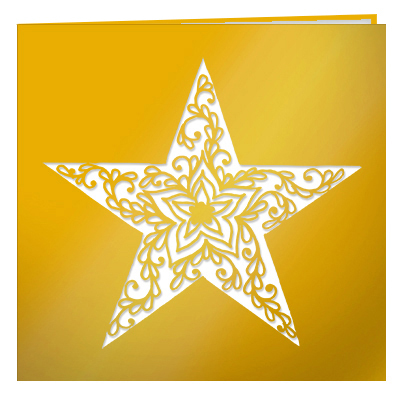 Jewel Bauble has embossed elements on the design which add to the charm of this beautiful card. Sparkle Trees features holographic foil which when it catches the light shines lots of different colours that complement the rest of the card. These foil finishes are beautiful and striking and will definitely make your cards stand out from the rest. They even include paper inserts, these cards really are the epitome of luxury. 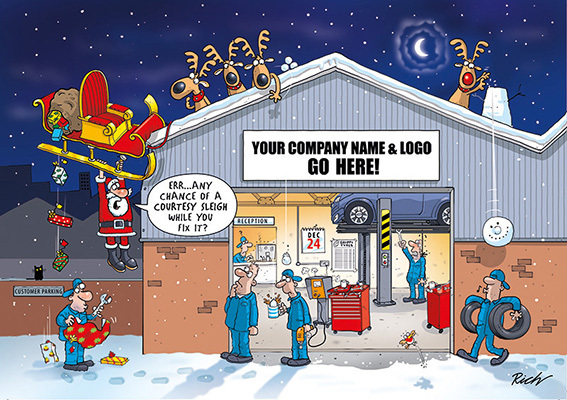 Other front personalised cards include some of our illustrated designs which allow you to add your company logo to the cover. A lot of these cards are fun and humorous and will guarantee a smile from your clients! For a one-off additional payment of £25.00 you can add your company logo and employee signatures to the inside of your card. By providing us with some good quality signatures we can insert them in your card to save you signing them all by hand. Adding a logo and signatures will make your card appear even more sleek and professional. Using a playful font adds charm and character to your card design and will certainly make your cards stand out from the rest. Alternatively if you have a different font in mind, just let us know and we can use that instead. You don’t have to use the same typeface throughout the card either, your greeting could be in Zapf Chancery and your additional information could be in Times Roman – the choice is completely up to you! As a standard all of our cards are printed in black and white inside. For an additional cost of just 20p per card we can print in colour for you, and not just one colour but any amount of colours! 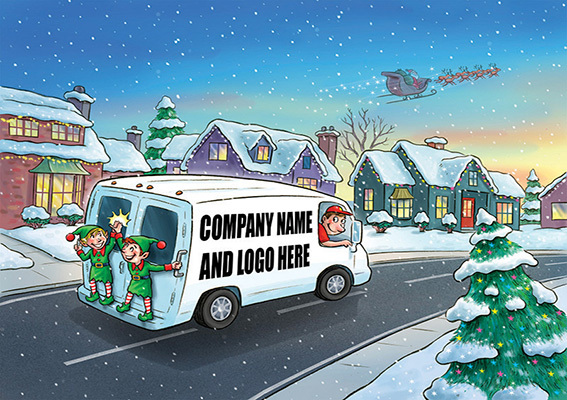 This will include your greeting, company logo and charity imprint. Using colour on the inside really brings the entire card to life and enhances the overall appearance. All of these cards are expertly laser cut on to metallic board which has a pearlescent effect that makes the card shine beautifully. The inserts featured in this card can be any colour of your choice, this will also be the colour that shows through the card. Just leave your colour request in the ‘Special Instructions’ box when you order. You can personalise the inserts with all the same details as mentioned above and your greeting inside will still be printed on white. 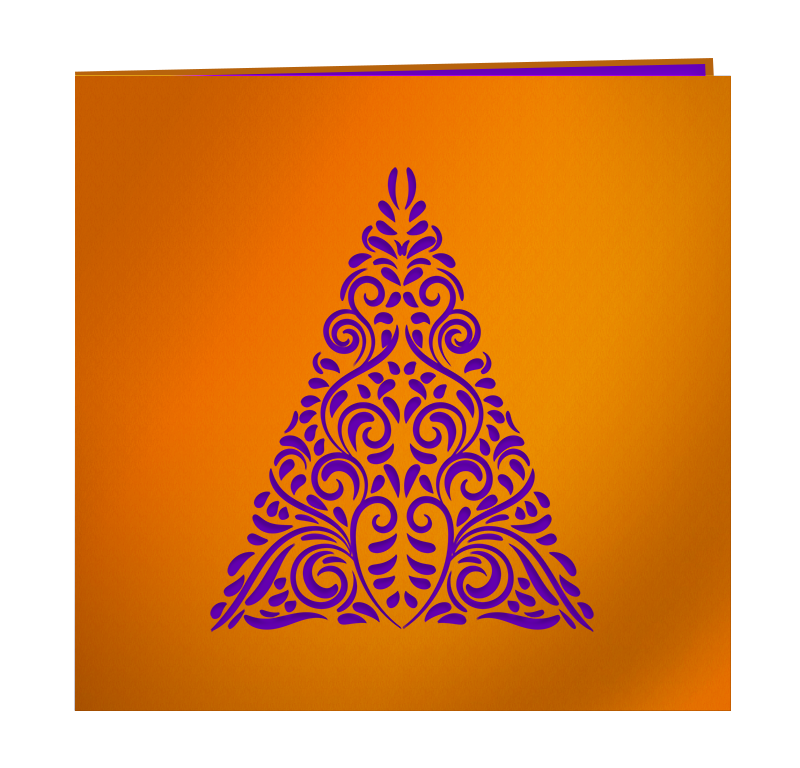 These card designs are so festive and intricately laser cut, they feel and look very special. 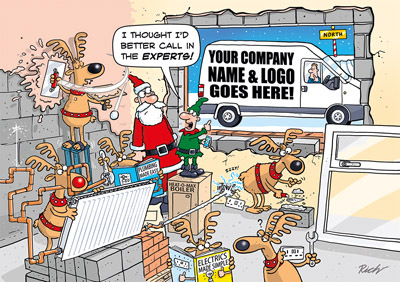 Why not impress your clients with one of these card designs this Christmas? 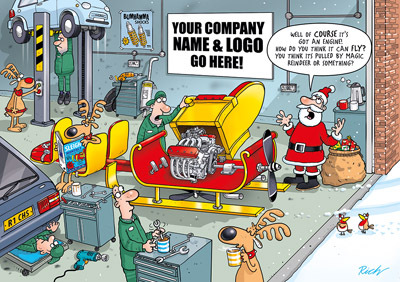 There’s no better feeling than making someone smile and by creating a unique personalised card specifically from your company for your clients will do just that. Spread joy and kindness this festive season with one of our gorgeous cards! It’s worth knowing that all of our cards come with a free gift, free peel and seal envelopes and free UK mainland delivery.